Do you have a budding architect in your house? 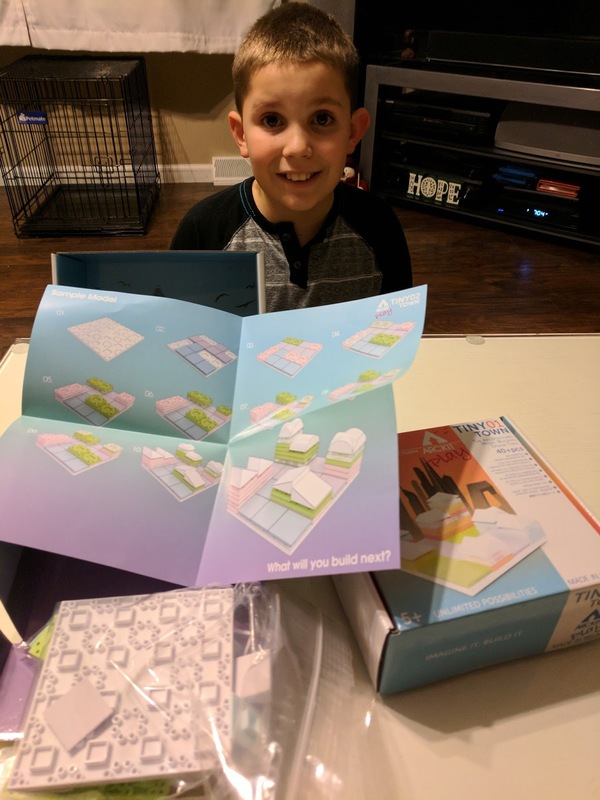 Inspire the next generation of architects with a fun stocking stuffer from ArcKit. ArcKits come in Masterplans, Cityscapes and Tiny Towns. ArcKits allow kids to let their imagination to flow while they build skyscrapers, office blocks, and houses, and so much more. Each of the Tiny Town kits contains 40 pieces and a backdrop and is sure to inspire your creative kids. 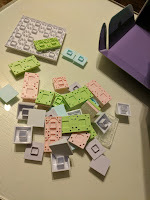 Design and build your favorite capital city and create high-rises, bustling streets and neighborhoods with a selection of pastel components and classic angled roofs. 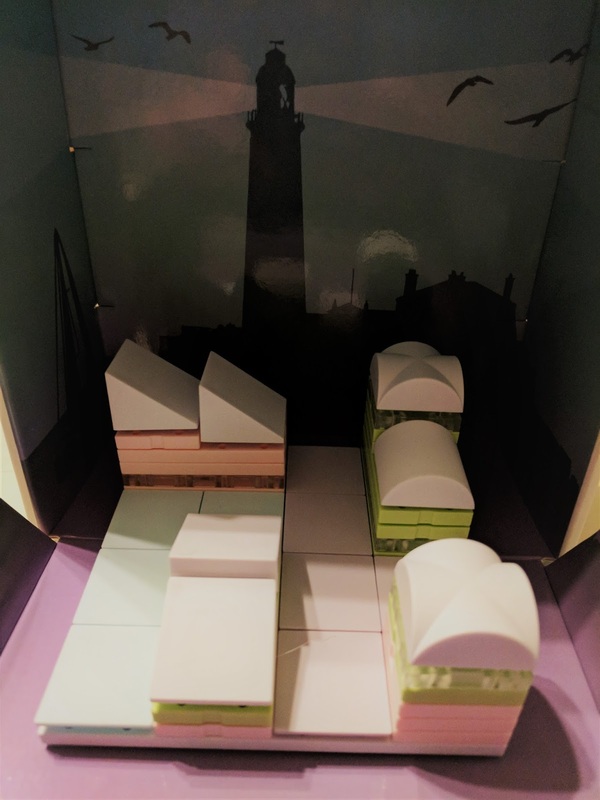 Use the colored floor tiles to represent grass, roads and more – then bring your model to life within an exciting backdrop of towering skyscrapers, highways, rivers and parks (landscape included in the packaging). 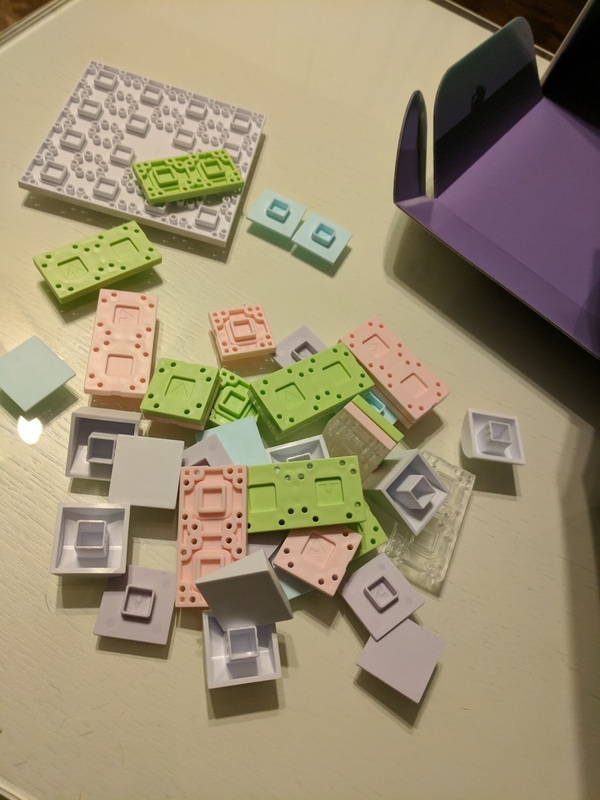 Each box contains a scenic landscape theme within the box to help add to your Tiny Town. 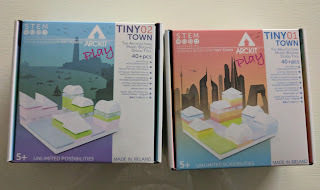 Each kit is compatible with other sets from the Arckit Play range. Follow the instructions or let your mind get creative and build your own town, house, palace, skyscraper, marina and more. My son loves to build and create and fell in love with these sets. The instructions are so easy to follow and he was building right away. It amazes me how fast kids can catch on and learn how to build cool towns and structures. Soon after he followed the instructions, his mind was racing on how he could build his town differently. I loved watching him create and learn at the same time! 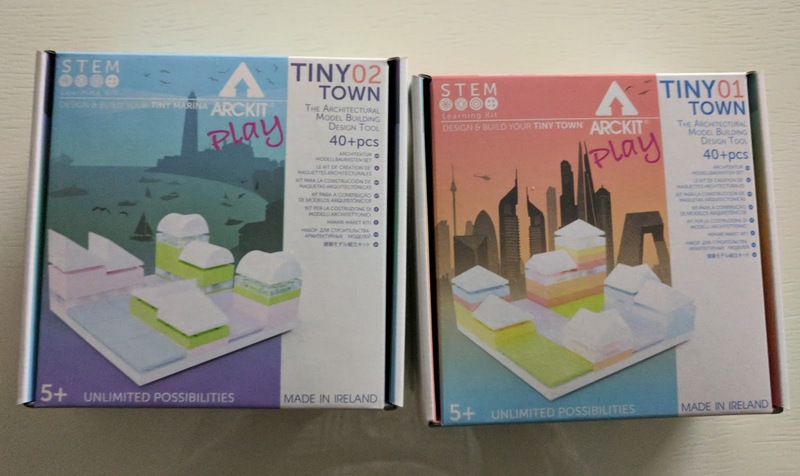 TinyTowns1: Design and build your own TINY TOWN! Head to your favorite capital city and create high-rises, bustling streets and neighborhoods with a selection of pastel components and classic angled roofs. TinyTown2: Design and build your own TINY MARINA. Take a trip to the seaside and develop a waterfront resort of hotels, apartments, cafes and yacht clubs with a selection of pastel components and unique roof shapes. Use the coloured floor tiles to represent water, promenades and more – then bring your model to life within a stunning backdrop of boats on the open seas and a cliff lighthouse. TinyTown3: Design and build your own TINY PALACE! Take a trip to The Orient and construct a magical palace and royal gardens with a selection of pastel components and domed roof shapes, use the coloured floor tiles to represent grass, water and more – then bring your model to life within a mystical backdrop of desert dunes, narrow rivers, roaming animals and ancient structures in the distance. This fit perfectly into stockings or under the tree. 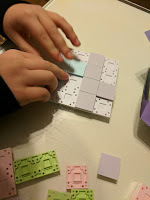 Help foster that creativity this Christmas with ArcKits.